Based on the Lifehacker article, partially reprinted below, I am going to start testing VPN access using Private Internet Access to see what I can get setup with my routers and configuration. 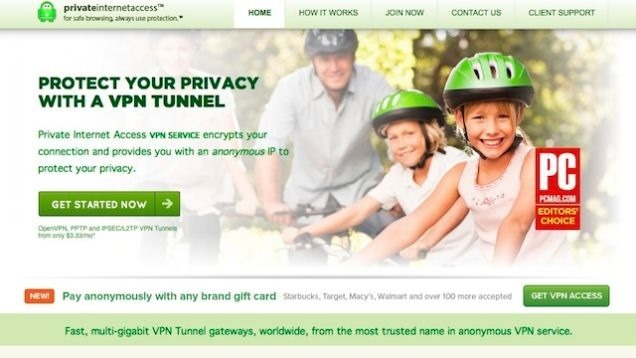 PIA has made the list every time Torrentfreak looked into privacy protecting VPN providers, and picked up an Editors Choice award from PCMag. Those of you who chimed in in the nominations thread noted that they also provide connectivity options for your home router so you can stay constantly connected, connect to your home network when you’re away, or customize your solution. Many of you praised their customer support and technical expertise. Read more in the nominations thread here.